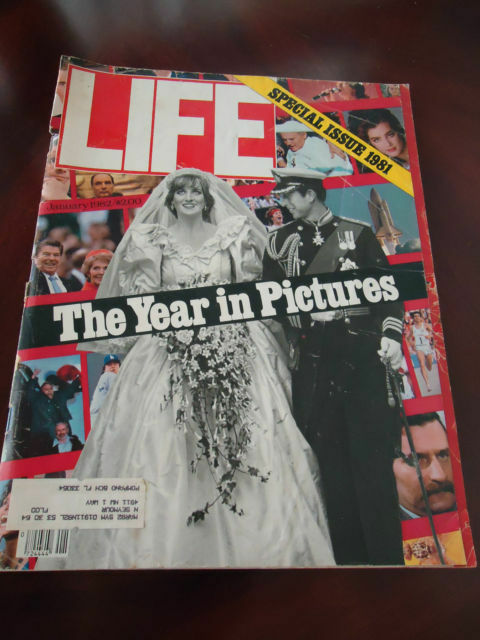 1982 LIFE January Special ISSUE COVER Diana /Prince Charles " THE WEDDING " When bidding please keep in mind that 99% of the items I sell are Vintage, Antiques or Just Old, Therefore Not Expected to be in like New Condition. Pictures are part of description and will prevail the verbal description. International Buyers: Import duties, taxes, and charges are not included in the item price or shipping cost. These charges are the buyer's responsibility.